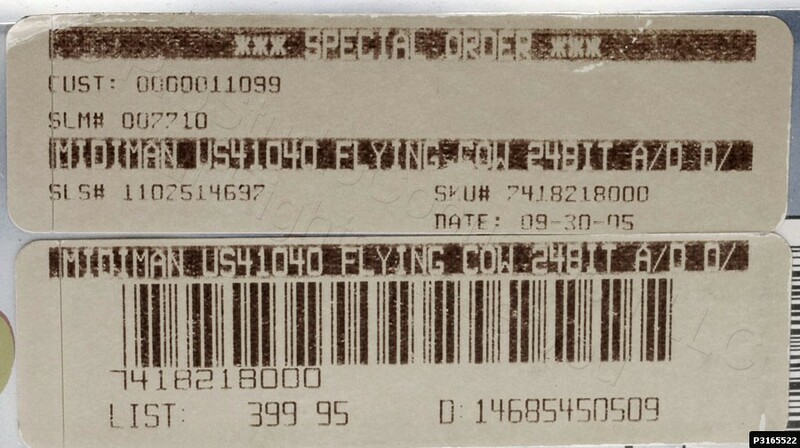 Item is in MINT- condition (possibly never deployed) and in the open factory carton. It is the 24bit version. No manual is included however a copy may be downloaded here if required. No More Noise! 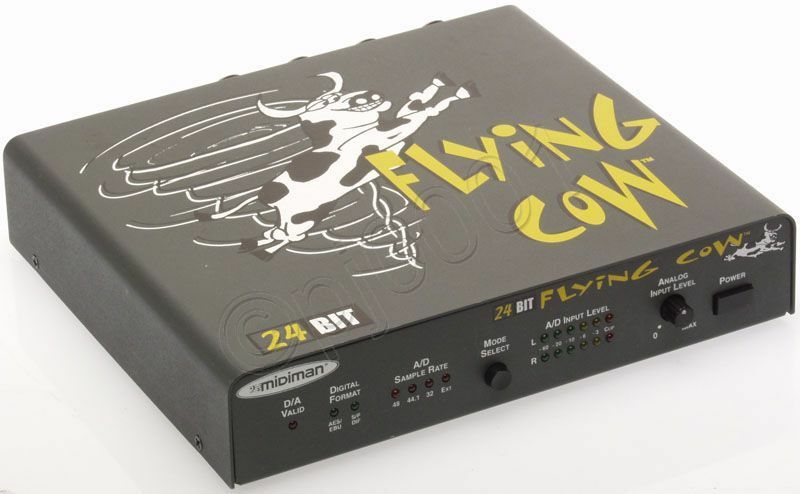 D/A and A/D converters don’t belong inside the world’s noisiest environment - your computer! They belong on your desktop or in your rack! 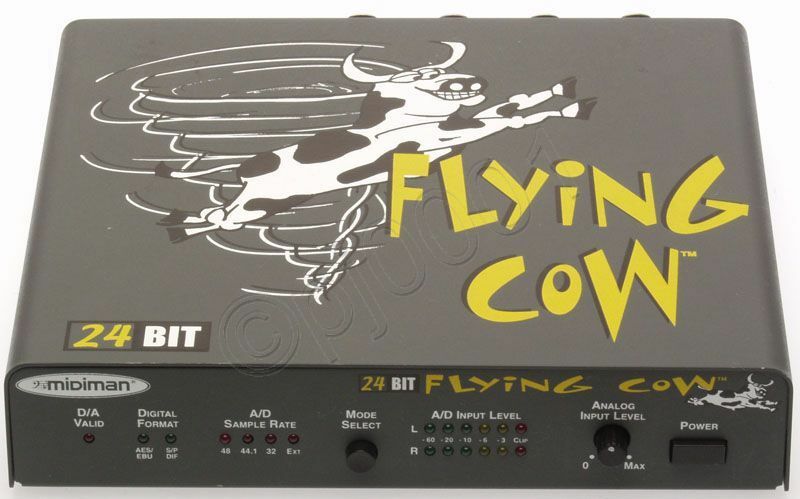 If you’re using a two channel digital I/O card in your computer, the Flying Cow A/D and D/A converters deliver cutting edge technology and crystal clear audio from 24-bit, delta sigma converters with 128x oversampling. 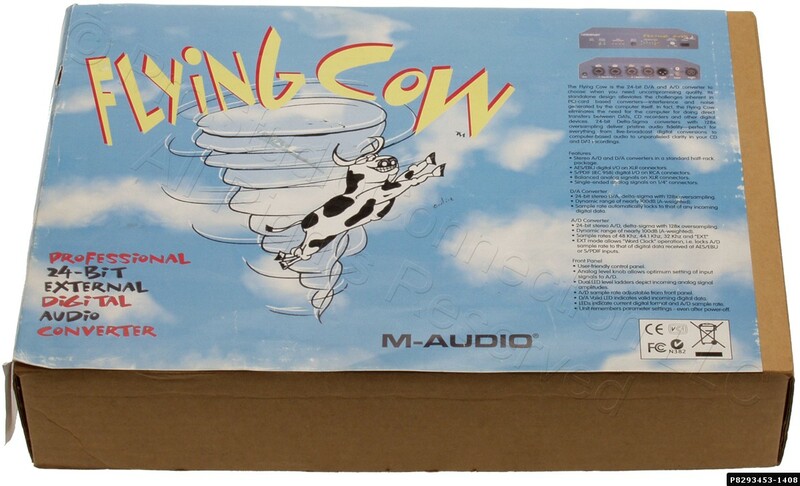 The superior sonic performance will convince you to use the Flying Cow for everything from computer based digital audio needs to adding unparalleled clarity to your DAT recordings. Stereo A/D and D/A converters in a standard half-rack package. AES/EBU digital I/O on XLR connecters. 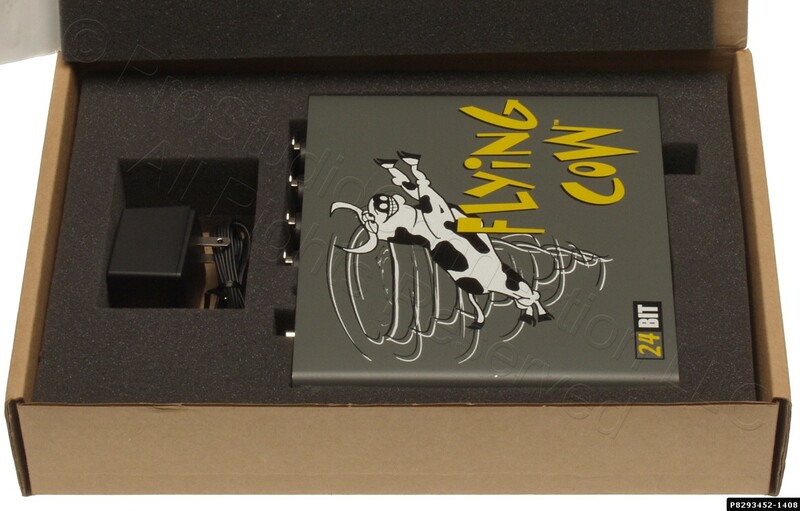 S/PDIF (IEC 958) digital I/O on RCA connectors. Balanced analog signals on XLR connectors. Single-ended analog signals on 1/4" connectors. 24-bit stereo D/A, delta-sigma with 128x oversampling. Sample rate automatically locks to that of any incoming digital data. Dynamic range of nearly 100dB (A-weighted). Sample rates of 48 Khz, 44.1 kHz, 32 Khz and "EXT." EXT mode allows "Word Clock" operation, i.e. 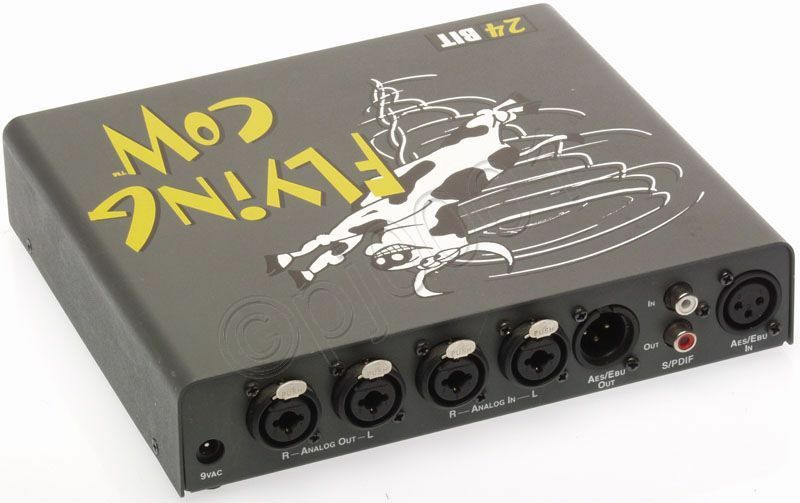 locks A/D sample rate to that of digital data received at AES/EBU or S/PDIF inputs. 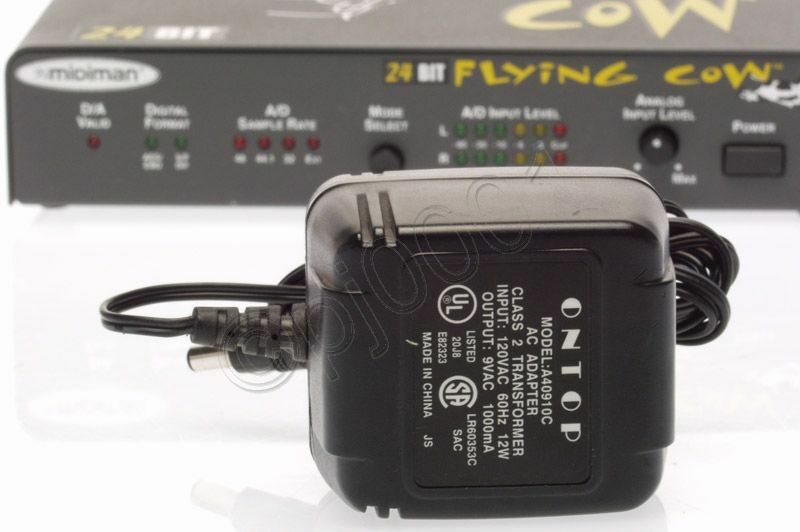 Analog level knob allows optimum setting of input signals to A/D. Dual LED level ladders depict incoming analog signal amplitudes. A/D sample rate adjustable from front panel. LEDs indicate current digital format and A/D sample rate. Unit remembers parameter settings - even after power-off.